Despite a 26% year-over-year decline, the Ford Mustang still managed to outsell the rising Dodge Challenger and Chevrolet Camaro, combined, in April 2017. Canadian sales of the Mustang dropped to 1028 units, year-over-year, but that was still a distinctly better total than Ford Canada typically manages with the Mustang in April. 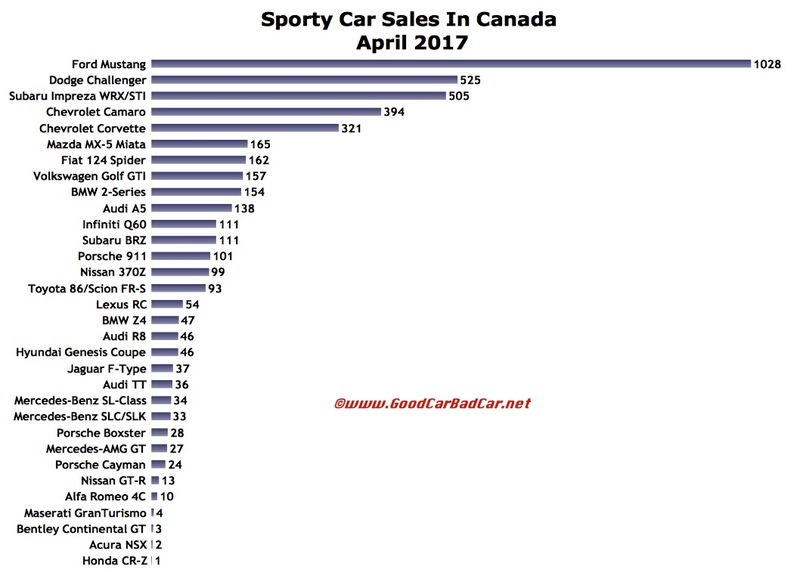 Meanwhile, GM and FCA combined for 919 Camaro/Challenger sales. At the other end of the sports car spectrum, the Audi R8 produced record sales of 46 units in April 2017. Doesn’t sound like much? 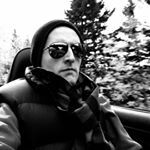 Consider the fact that far less costly European sports cars – 4C, F-Type, SLC, Boxster, Cayman — didn’t sell as often last month as the $184,000+ Audi R8. 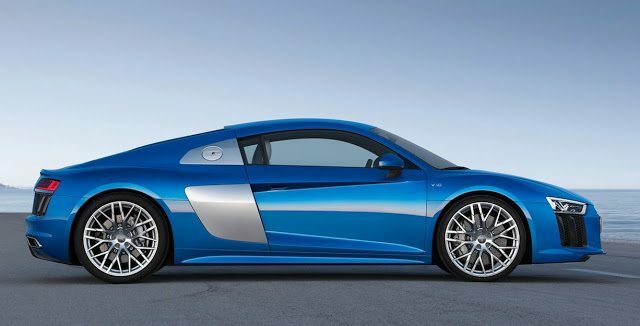 Indeed, Audi’s own $52,400+ TT didn’t sell as frequently as the R8 last month.